To enter the HSCC 70s Road Sports Championship all competitors must be Racing Members of the HSCC. If this is your first season of motor sport you can join our Novice Membership Scheme. Once you have become a Full Racing Member of the HSCC we will then send you a voucher to the value of £200 towards the cost of your first race entry fee with the HSCC. 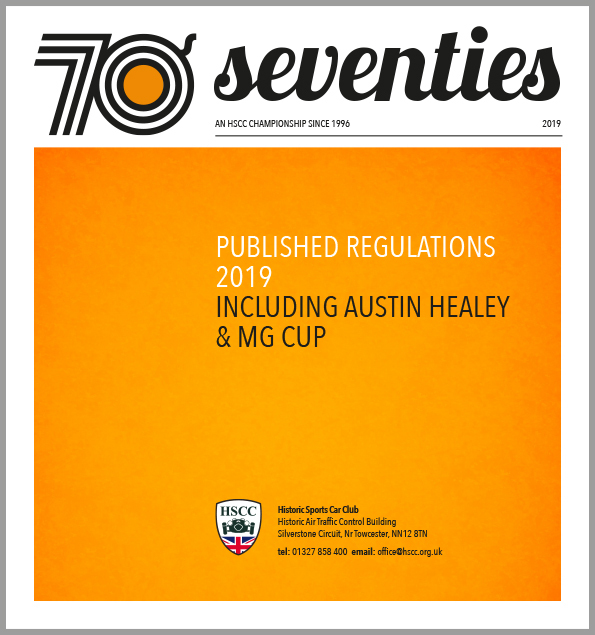 The 70s Road Spots Championship has a robust, well thought out set of regulations to allow production Sports and GT cars built and registered between 01.01.1970 – 31.12.79 to compete at the best circuits in the UK. All cars competing in the Championship must comply with the 2019 Championship Regulations. 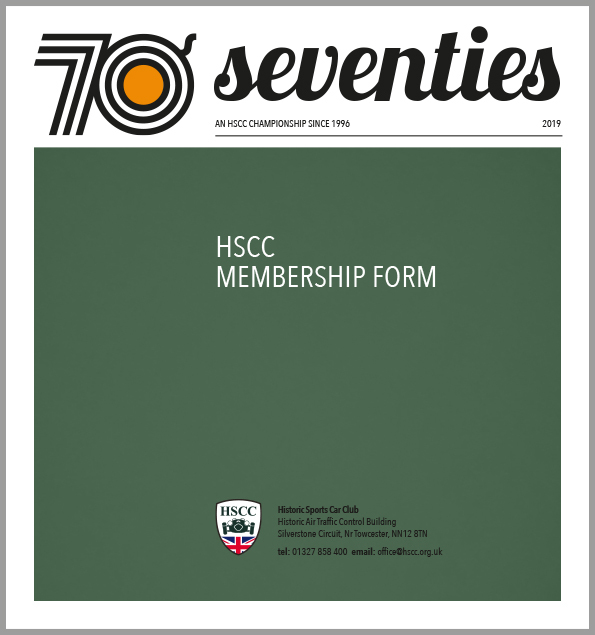 To compete in the 70s Road Sports Championship all competitors must complete an HSCC Championship Registration Form. All cars competing in the 70s Road Sports Championship must have a current HSCC Vehicle Identification Form (VIF). No competitor can claim Championship points unless the VIF has been approved by the Registrar. If you are unable to download a Vehicle Identity Form from this website, please contact the HSCC Office and they will either send you a copy of the form via e-mail or surface mail. 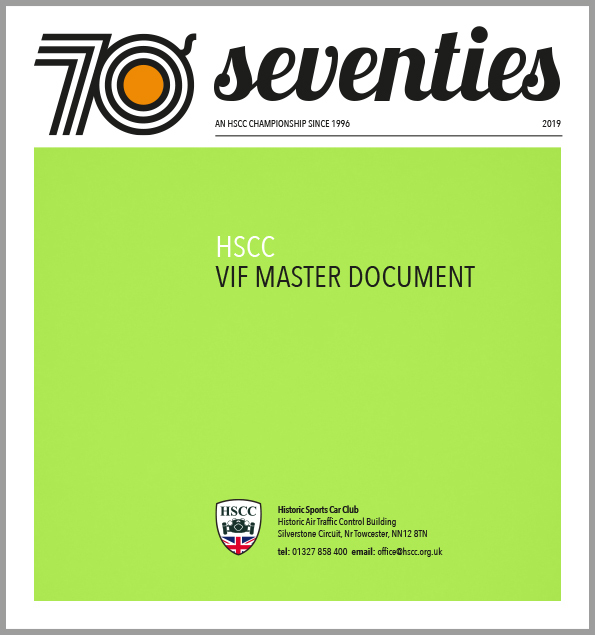 Download your HSCC VIF from the documents section on this page A guide on how to complete the VIF form is also available. 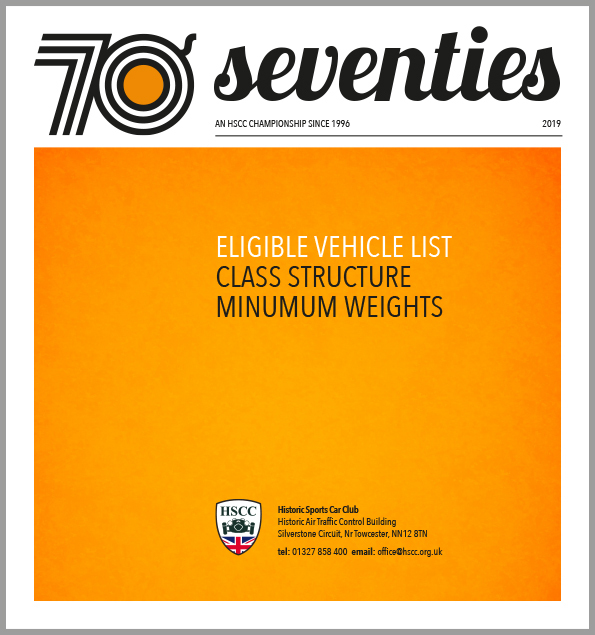 A list of eligible cars is available with the relevant weights.